The Florida Farm Bureau Group is a wholly owned subsidiary of the Southern Farm Bureau Casualty Insurance Group. Southern Farm Bureau Casualty Insurance Company began 50 years ago with a group of Farm Bureau leaders, who shared a vision for better member service and lower insurance rates. 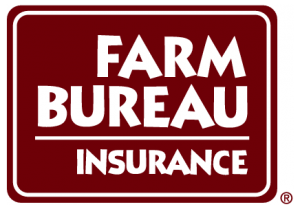 Today, Southern Farm Bureau Casualty is a $2 billion company and is in the top of its class with an A.M. Best “A” Excellent rating – a designation achieved by only 3 percent of property and casualty insurers in the nation. Southern Farm Bureau Casualty has become a leader in the insurance industry through innovative services and competitive products for its policyholders and an extensive training program for its claims adjusters, underwriters, and independent agents. At Florida Farm Bureau insurance, we understand that your financial needs change as you move through each chapter of life. We can help with providing the financial security you need, when you need it. Whether it’s a bank loan, mortgage insurance, life insurance, estate planning, or safe and secure banking services, our agents are ready to assist you, whatever your phase of life.